Welcome to our November Blog Hop featuring creations made with products from the Mini Holiday With Heart Gift Guide. To purchase any of the items seen in our blog hop today, contact your local consultant to place an order. If you have just hopped onto my blog, you can start here as this is a circular hop, but if you want to follow us across Canada then please start at the beginning and join Michelle at http://mycreationswithmichelle.blogspot.ca/2013/11/cross-canada-blog-hop-featuring-holiday.html. If you came from Nancy of http://nancyklein.blogspot.ca/2013/11/november-cross-canada-blog-hop.html then you are in the right place! We waited on pins and needles to finally see the gorgeous Close to my Heart Mini Holiday With Heart Gift Guide. Then we Consultants had to wait a few weeks to share the goodness with our customers . . . well, the wait was more that worth it. This Guide is full of Goodies. My Favorite is the Sparkle and Shine Paper Pack! I love it, I'm a sucker for the traditional Christmas colours . . but this has a great modern twist. Just one disappointment . . . I've been loving the variety of Christmas Papers with a hint of black that I've been seeing everywhere. But, no matter . . .I just added black to a few of my cards to get that old fashioned Christmas look that I've been loving. So these are a few of the cards I've come up with for various crops and classes this season, incorporating a few great ideas I've come across over the last few months "researching" (read wasting time on Pinterest). This First Card is created using the "Dryer sheet" technique. If you Google "dryer sheet card" you will find several youtube videos on how to create this look. Basically, you pre-stamp your background (the trees) and then cover with an ironed, used dryer sheet. I used spray adhesive - seemed to work best. Then sprinkle Prisma glitter over the image and rub it in. The effect you get is a sparkly, deep falling snow look. A little weird . .but I rather like the effect. The sentiment is an old CTMH stamp . . .but one I just love. This is a surprisingly fast card to make: First Stamp the front tree, then second generation stamp the other two in the background. I cut a piece of our red Glitter tape to (sort of) look like a bird and stuck it down. Then I tore a piece of cardstock for the bottom. Used our bonding memories glue along the edge and sprinkled with prisma glitter. Once I tapped the excess glitter off, I stamped my sentiment. Close to My Heart Products: Always Grateful Stamp Set, Holiday Commentary Stamp Set, Prisma Glitter, Red Glitter Tape and Sparkle and Shine paper pack. So these are the two cards that I added a bit of black to. Using the Sparkle and Shine paper pack. Again - I lifted these designs from: http://www.kimscardkits.com/Christmas-Cheer-Card-Kit--12-Cards_p_349.html I just did the first two . . . you can see with different Stamp Sets and Paper the look is quite different. However, I simplified mine a bit to keep a crisp, clean look. I hope you enjoyed viewing my samples along with the rest of the art work on this Cross Canada Blog Hop. But I really hope you get a chance to play with some of the great products in our Mini Holiday Gift Guide soon! Your next stop on the Cross Canada Hop is Candra of http://www.paperdragonfleur.ca/2013/11/cross-canada-blog-hop-november.html. Thanks for hopping along with us - we hope we were able to inspire you to get creative using some of the designs, products and techniques seen along the way. Join us again in December when we will be featuring projects that would make great gifts. We hope you will join us again on December 15th. All these cards are fabulous. Great designs. Thanks for sharing. Great job on all of the cards, they make me want to get crafting this weekend. So cute! My fave is the one with the little house in the woods! Great job! Gorgeous cards - love the glitter! Beautiful cards. I really like the dryer sheet card you created. Awesome effect. Beautiful cards and I too love the simplicity of the second one...gorgeous. Wonderful cards and thanks for the technique tip, I will have to give it a try. Beautiful cards, Karen. My favourite is the first with the dryer sheet technique. It just makes me feel like there's snow falling all around. SO PRETTY! I am a lifelong crafter of all sorts, with a focus on textiles and fabric design. 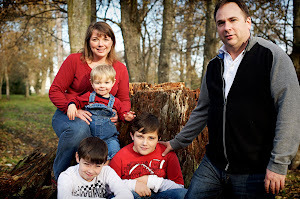 But, when my husband and I started our family 13 years ago I was introducted to Scrapbooking and fell in love. I love being able to add my own personal touch to preserving our family memories. 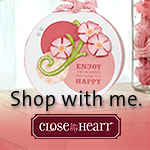 Four years ago I was introducted to Close to My Heart - - -my first order was $367!! My second order was my consultant kit and I haven't looked back! Close to My Heart is everything I never knew I was looking for in a papercrafting company. I love their style, Ideas, products and their people! Please join me on this journey as I use this blog to share what I know and what I learn along the way.